Is the Church over the Bible or is the Bible over the Church? It is well known that misconceptions and misunderstandings regarding the origins of the NT (and OT) canon abound on the internet. Da Vinci Code style claims are in plenteous supply–ranging from the claim that the Council of Nicea established the NT canon to the claim that apocryphal gospels were as popular (if not more so) than the canonical gospels. Of course, if one were to respond to each and every erroneous claim on the internet there would be time for little else. But every now and then, an article combines so many misconceptions about the canon is a single place, that a response is warranted. This is the case with the recent article, “There is No ‘Bible’ in the Bible,” by Fr. Stephen Freeman. Freeman, part of the Orthodox Church in America, has made what is essentially a Roman Catholic argument for the canon (but missing some key portions, as we shall see). His basic claim is that the Bible–as something that is an authority over the church–is a modern, post-Reformation invention. In reality, he claims, the church is the highest authority and the Bible is merely one of many tools used by the church. Perhaps the best way to respond to Freeman’s article is just to quote it line by line (in italics below), offering a response to each statement as we go. For space reasons, we will not be able to cover every one of his claims, but we will cover the major ones. 1. The word “Bible” simply means “book.” Thus, it is a name that means “the Book.” It is a particularly late notion if for no other reason than that books are a rather late invention. Freeman makes the claim here that the “Bible” must be late, because books are a late invention. This is stunning to say the least given that Israel had been using books as Scripture for more than a thousand years before Christ was even born. Moreover, early Christianity was a very “bookish” culture right from the start, with a keen interest in reading, producing, and copying books. For more on this point see my article here. Thus, books were not at all a foreign idea to the early Christian faith. 2. There are examples of bound folios of the New Testament dating to around the 4th century, but they may very well have been some of the earliest examples of such productions. By the term “bound folios” I assume Freeman is referring to early Christian codices that contained multiple books in the same volume. If so, then the “earliest examples” do not derive from the fourth century, but much earlier. At the end of the second century/early third century we have all four gospels in a single volume (P4-64-67, P45), and most, if not all, of Paul’s epistles in a single volume (P46). These codices demonstrate a book consciousness very early in the life of the church. But, perhaps Freeman mentions the fourth century because he is referring to codices that contain all 27 NT books. He is correct that the fourth century is the first instance of all 27 books bound together (e.g. Codex Sinaiticus; see photo above) But, one does not need all 27 books in a single volume in order to establish that the early church had a canon of Scripture. Books don’t need to be physically bound together in order to viewed as part of a scriptural collection. Indeed, this was precisely the case with the OT books. Individual OT books were often kept in separate rolls, even though they were clearly viewed as part of a larger biblical corpus. 3. The “Bible,” a single book with the whole of the Scriptures included, is indeed modern. It is a by-product of the printing press, fostered by the doctrines of Protestantism. The discussion above has already refuted the notion that a complete NT canon does not come around until the printing press. In addition, Freeman does not mention the fact that we can determine the extent of the church’s canon in other ways besides the physical book. Early Christians drew up lists of their books from quite an early time. For instance, Origen lists all 27 books in a single list in the third century (see article here). Would Freeman suggest that Origen’s NT canon is simply the “by-product of the printing press fostered by the doctrines of Protestantism”? 4. There was no authoritative notion of a canon of the Old Testament. There were the Books of Moses and the Prophets (cf. Luke 24:27) and there were other writings (the Psalms, Proverbs, etc.). But writers of the New Testament seem to have had no clear guide for what is authoritative and what is not. The book of Jude makes use of the Assumption of Moses as well as the Book of Enoch, without so much as a blush. There are other examples of so-called “non-canonical” works in the New Testament. This statement may be one of the most misleading in Freeman’s entire article. To suggest that first century Jews had no idea of what books are Scripture is patently false. For one, the frequent debates between Jesus and the Jewish leaders over various OT texts becomes unintelligible on Freeman’s view. How could they disagree over the meaning of Scripture, if they had no idea of what books were Scripture? Moreover, Jesus regularly holds his audience accountable for the teachings of the Scriptures–how could he do this if there was no understanding what was in the Scriptures? Even more than this, when Jesus and the Jewish leaders debate over the meaning of a scriptural text, it is always of a text from books in our current Old Testament (and not from books like 1 Maccabees or Tobit). Jesus and the Jewish leaders debated many, many things. But one thing they never debated was which books were Scripture. This is certainly unexpected if the canon was as unclear as Freeman maintains. Freeman’s observation that Jude refers to the Assumption of Moses and the Book of Enoch is also not as a decisive as he makes it seem. He leaves out a critical fact, namely that Jude never refers to these books as Scripture. Indeed, nowhere in the entire NT is a book referred to as Scripture that is not in our current Old Testaments. That fact needs to be given its due weight. Using a book, and using a book as Scripture are not the same thing. So, Freeman’s reference to examples of other “non-canonical” works mentioned in the NT is irrelevant. For a lengthier account of the development of the OT canon, see the standard volume by Roger Beckwith. Freeman’s analysis of 2 Tim 3:16 is confusing to say the least. He rightly acknowledges the single Greek word (θεόπνευστος), but fails to address its implications. The term literally means “breathed out by God” or “God-breathed.” It is a way of saying that Scripture is the very breath of God himself. This suggests the absolute highest authority for Scripture, the authority of the divine voice. How can he conclude, therefore, that the Scripture lacks “authoritative licensing”? In addition, it is actually Freeman who mistranslates this verse. Notice that he adds a relative pronoun to the construction: “all Scripture that is inspired of God.” He uses this to limit the extent of inspiration (implying that some Scripture may not be inspired). However, that relative pronoun is not in the text. And virtually all major English translations acknowledge this fact, using the verb “is” instead: “All Scripture is inspired by God.” Thus, it is clear that inspiration is not limited after all. 6. What we actually have in 2 Timothy is a very homely, parenetic expression in which the author suggests that reading the Scriptures is a good thing. It is not, despite its use as such, a foundational proclamation of the Bible as sole authority. For it is the Church that is described as the “Pillar and Ground of Truth.” (1 Tim. 3:15). . . The only “thing” approaching a “Bible” in the sense that has commonly been used in modern parlance, is the Church. Here is where we come to the real issue with Freeman. One might wonder: Why is Freeman so intent on lowering the authority of Scripture? Every argument in his article, whether historical or theological, has one simple end in mind, namely to convince the reader that the Bible is a problematic construction with less authority than people think. So, why would Freeman, an Orthodox priest, do this? The answer is simple. He wants to lower the authority of the Bible so that he can replace it with the authority of the church. He wants to convince Christians the Bible has problems, so that they will rely on the church instead. But is the church a better option? If the Bible is problematic, then is the church problem-free? Freeman has jumped out of the biblical frying pan and into the ecclesiastical fire. Unless he wants to advocate for an inspired/infallible church as Roman Catholics do (something he is unprepared to do, I assume, since he is Orthodox), then he is asking Christians to trust a very fallible authority. He is asking Christians to put their trust in men, rather than in the word of God. Yes, the church is the “pillar and ground of truth” (1 Tim 3:15), and has real authority. Freeman caricatures the protestant position by describing it as a belief in the Bible as the sole authority. But that is not (nor ever has been) the protestant position. Since the time of the Reformation, protestants have argued simply that the Bible is the highest authority (not the sole authority). And the church is one of the other authorities that we should follow. But that is not a declaration that the church is an authority over the Bible. On the contrary, the proper posture of God’s people (the church) is always one of submission to God’s word. There is no higher authority than God himself. In the end, Freeman has lifted up the authority of the church at the expense of the authority of the Scriptures. And there is a sad irony in this. For one, such a position is vulnerable to the very critique that Jesus gave to the scribes and Pharisees: “You leave the commandment of God and hold to the tradition of men” (Mark 7:8). Second, in order for Freeman to make his case, he is forced to make arguments against the authority of the Bible that are not all that different from the kind of arguments made by liberal critical scholars such as Bart Ehrman. Even though Freeman reaches very different conclusions than Ehrman, their methodology is the same: downgrade the authority of the Bible and replace it with something else. Ehrman has replaced it with agnosticism. Freeman has replaced it with the church. But, both have replaced it. This is simply wrong. 2 Timothy can only refer to the Old Testament, not the new testament, let alone the very text that is being quoted. Hint: it does not refer to itself or ANY writing composed in the future. Whether you consider the Church ‘a better option’ is irrelevant. It has been given the authority from Christ to bind and loose and it defined Scripture in its entirety with this authority. Fact is, it MUST be a better option precisely because it defines Christianity in the true spirit of Jesus Christ, who appointed it to do so. The Church does not usurp Scriptural authority, it properly sets it in context. Christ was not a sola scripturist and Protestantism assumed this standard of authority wrongly. It had no authority to do so, let alone any expertise to define what it did, as evidences by 40,000 different denominations with varying degrees of faithfulness to the Gospel. The division it created directly disobeyed Christ’s command to be one in mind and all other things, and so Protestantism’s attempt to indulge in private interpretation fails at its core. Regarding the Canon, we both know that Maccabees, James, et al (the Apocrypha, as you label it) were approved by the authoritative church multiple times and defined with good reason as inspired Scripture (Jerome’s feelings on the topic are irrelevant here, btw). If you’d only read the Catechism of the Catholic Church, you’d know EXACTLY what its position toward Scripture is, which is VERY different than you portray it here. Thanks, RJ. But, you’ve not really responded to my arguments, but have merely restated the RC position (which I already am aware of). I never said 2 Tim 3:16 applied directly to the NT, so not sure what your point is there. I simply point out that the text gives Scripture (whatever that is) the highest authority. Would you not agree? Also, you make it sound like the text quoted (2 Tim 3:16), has no authority. But is not Paul an authoritative apostle who can speak for Christ? You also brought up the Apocrypha. Again, you never responded to any of my actual arguments about the way the NT cites scriptural books. Instead you have simply repeated the Roman Catholic position. And why did you include the book of “James” in the Apocrypha? “In reality, he claims, the church is the highest authority and the Bible is merely one of many tools used by the church.” I’m sorry, I didn’t catch where he did that. “Unless he wants to advocate for an inspired/infallible church as Roman Catholics do (something he is unprepared to do, I assume, since he is Orthodox)” Actually, the Orthodox do think the church is infallible. You just need a ecumenical council to make such a declaration. Good to be reminded of these things. This is a bit tounge in cheek but I wonder if Fr F Freeman could do some drawings for me so I can understand. Fr. Stephen is right. When Christ ascended to Heaven, what did He leave behind? Many Evangelicals seem to think He left behind a complete ESV New Testament. The answer of course is that He left behind The Church. The Church delivered the NT, not the other way around. For those of you who hate tradition so much, how do you deal with 2 Thes 2:15? How do you deal with I Tim 3:15? The simple truth is that nobody believes in Sola Scriptura. All Christians are following a tradition. Don’t think so? When your pastor preaches for 50 minutes on Sunday, does he simply read scripture for 50 minutes? No, he reads it for a minute or less, then spends 49 minutes telling you what it means. Do the 49 minutes not count as his tradition? Of course they do. Do you read a study Bible? Are not the study notes a tradition? Of course they are. Finally, the problem with SS is that the Bible is a complex book that must be interpreted. If it’s so easy to just take “the plain teaching of scripture” then why are there thousands of denominations, with wildly varying beliefs, all claiming that they just take “the plain teaching of scripture”? Its kind of funny that you are using Scripture to elevate church & denominations are also addressed within Scripture & does not nullify the idea that one cannot be right or two or three for that matter. There actually will be divisions when it comes to truth & Scripture. Jesus taught this & also told the parable of the enemy that came in at night. Bypass Scripture & what have you got…traditions of men or women. Its not about hating tradition, its what men turned those traditions into & how by Scripture we can know what is true & what is false. Michael, your second to last paragraph is disingenuous and misleading, to put it nicely. I’ve been an Evangelical for over 40 years (although I’ve disavowed the label due to what has become of the movement) and I’ve always been taught that the Bible is the SOLE authority. Yes, what you said about Protestantism is true of what Luther believed, but the radical reformers took it to the next level and declared Scripture to be the Sole authority. Further, Evangelicals have a weak (non-existent??) theology on The Church, so your claim that “the church is one of the other authorities that we should follow” makes zero sense. Which church would that be Michael? You can’t reduce the meaning of “the church” to nothing, then claim it has authority. The problem I ran into in the Protestant/Evangelical world is this: You say the Scripture says X, the PCUSA pastor says it means Y, the Lutheran pastor says it means Z. Who is right, and what authority do they stand on? The article (2nd last paragraph) is not reducing the church to nothing, far from it, there is an order there & that order matters. Paul rebuked Peter because he had departed from that order. Gal 2:11. Thank you. Michael. I appreciate your article and other writings on this very subject if others here do not or have not read them thoroughly. The things of which those above accuse you hold no weight if they read “Canon Revisited”. Good medicine for those wrestling with friends or family members who are de-emphasizing God’s word in lieu of tradition and the church. Little do they know that you value tradition and believe the Church was instrumental in providing the Scriptures we now hold, but neither are above God’s word. In the nineteenth century novels were routinely published in multiple volumes. And yet I don’t think anybody would be arguing that “Oliver Twist” is not a book! There is very practical problem with saying that the Bible is over the Church. It does not matter if it is the only or the highest authority, we end up having two choices. First, the Church is the ultimate authority in the definitive interpretation of the Bible– that is the Body of Christ that is led by the Lord Himself and guided by the Holy Spirit is the ultimate interpreter. Second, the individual believer by virtue of his baptism and reception of the Holy Spirit (or in some cases, by virtue of whatever criteria his/her sect believe in) is the ultimate interpreter. In my limited mind, I see the second choice boiling down to personal interpretations/opinions that have very low to nonexistent value as definitive interpretations. Consequently, the Body becomes fragmented and often reduced to a theoretical body of believers who are not in true communion with each other. Not terribly Biblical, is it? The Orthodox Church believes that the Scripture is “part” of the “Sacred Tradition” of the Church, and since the “Sacred Tradition” of the Church is seen to BE AS EQUALLY authoritative as Reformed Presbyterians do, it is not a matter of the Church being “over” the Bible, but put more accurately, the Church’s “sacred tradition” WITH the “Holy Scripture” works together WITH the Church. The whole charge that the Church is over the bible is the same Charge that Catholics give to the Protestants when they say that protestants believe the individual is over the bible. It first has to be ascertained if the “meaning” of the Scripture is readily available to everyone in the world to read, or if God intended a special society of human beings to know the “meaning” of the Scripture. Once we answer that question, then we can answer who is over the bible. I missed in this critique the doctor’s alternate explanation for the formation of the New Testament canon, if it was not a product of the Church. Doing so would have proved helpful in understanding his position, beyond the fact that he thinks Father Stephen is wrong. Leading his article with a statement that essentially equivocates the historical reality of the Council of Nicea (regardless of its perceived merits) with the fictional Da Vinci Code novel doesn’t really set the stage for a credible rebuttal of Fr Stephen’s position. Thanks, Randy. But, I think you misunderstood the purpose of my post. My purpose was simply to respond to the claims of Freeman, not offer a full accounting for my view of canon. If you want the latter, then see my book Canon Revisited. As for the Council of Nicea, you again misunderstood my post. I very much affirm and acknowledge the conclusions of that council. I was merely pointing out that the council never addressed the issue of the NT canon, as so many mistakenly believe. It is Dan Brown (and those who follow him) who “equivocate” the council of Nicea, not me. —I don’t believe he said that at all. This is quite far from the point. ‘book’ in Greek is ‘biblos’. ‘Biblios’ is a small book, or piece of writing (a diminutive of ‘biblos’). ‘Biblia’ is the neuter plural of ‘biblios’. ‘Biblia’ was reanalysed in Latin as a feminine singular noun, effectively a collective. Hence, the source of ‘Bible’: “a collection of small books”. —Surely you own a Hebrew “Old Testament”. Is it called “Old Testament” in Hebrew? No. It is a collection of collections of small books – the Torah, Ketuvim, and Nevi’im. Of these, the Torah has higher rank. The Torah, Ketuvim, and Nevi’im have 24 books. Eusebius recorded that Origen of Alexandria had a 22-book canon. The original Vulgate had more than 24 books. Codex Vaticanus originally included the entire Septuagint. Codex Sinaiticus only had bits of about 15 books. The Codex Hierosolymitanus detailed a 27-book canon. The Orthodox Church recognises 51 books, the Catholics 46, and most Protestants only 39. So you have 15 more books than the Jews that are the “Word of God” but 12 fewer than the Orthodox? And yet it was always clear what were the Scriptures? —Simple: See above – you don’t yet have a canon of which writing (= scripture = graphe:) is or is not God-breathed. Protestants apparently decided later that 39 Old Testament graphas were God-breathed, but this was not agreed upon at the time. You cannot decide what Scripture is later then come back and say “See, the BIBLE says the SCRIPTURE (simply graphe:) is directly from God (theopneustos)!”. —No, his translation is reasonably accurate. What you would prefer to do is to insert a verb form of ‘to be’, which is also missing entirely. Literally, what we have is “Each breathed-of-God and profitable for teaching, persuasion, correction, and training in righteousness writing…” – not “Each writing is breathed-of-God”, which, in any case, would appear illogical. I think some Protestants operate on the mystical understanding of this capitalised Scripture, meaning the Word of God of their own agreed-upon canon, forgetting the fact that ‘scriptura’ is only the Latin resultative verbal noun from ‘scribo’, the same as the native Germanic word ‘writing’. Greek ‘graphe:’ simply means ‘writing’, recalling Hebrew ‘ketuv’. —No, it is Sola Scriptura that is the replacement of some for the traditions of Christianity. The ‘Bible’ merely refers to a collection of books that were never considered to be of equal authority until relatively recently by some Protestants. That said, the point of the post was not that the Bible has problems. Rather, if you believe Revelations (‘Apocalypse’ in Greek) is of equal value (equally true) to the Gospel of John, you’re the one with problems. —The notion that the (still disputed) Canon of the Bible is the absolute word of God and all equally true (as it must be, since the Word of God must be entirely true and something entirely true must be of equal truth to another which is entirely true) and that all other prophetic and apostolic writings that did not happen to be included in the canon are of no spiritual value (because they are not in the ‘Bible’) is insane. Of course, standing behind these notions is often the pure hypothesis that the Church always knew magically exactly what books were in the Biblical canon, despite *all evidence to the contrary*, and despite known Protestant subtractions. This is pure mysticism ironically hailing from the theological tradition produced by Enlightenment rationalism. On the other hand, when it comes to taking Christ’s Word literally (e.g., concerning the Eucharist), they (at least somewhere post-Luther) began to accuse all literal readings of ‘mysticism’. —He is only citing ‘sola scriptura’. Not by chance, ‘sola’ does mean ‘sole’. If you disagree with Luther and Calvin in this regard, then congratulations. —Can you not accept that there is a great amount of unwritten wisdom handed down from Church Fathers who had access to knowledge, to documents, to people, to discussions that we do not? —And who says what God’s word is? 2 Tim 3:16 doesn’t do this! This is also something of a logical problem – the evidence is self-referential! The Bible (canon created later) is all the Word of God because a verse in the Epistles says that “all Scripture (i.e. ‘writing’) (is) God-breathed”. A pure tautology! —Oddly enough, however, nobody could accuse the scribes and Pharisees of abandoning the Scriptures. Rather, that is precisely the point, they adhere to the Scriptures without bothering to understand their purpose! Once I was in the Old City of Jerusalem and I slipped and fell on my back. About 15 Chasidic Jews were behind me and they stepped carefully over and around me rather than help me up. I doubt this is because they were poor students of the Scriptures. Rather, they were excessively good students of their own Scriptures but lacked compassion. A ‘Pharisee’ in modern usage isn’t someone who does not follow the word of God but someone who obsesses on the word, the letter of the law, and legalistic arguments to justify or condemn. —No, you’ve replaced the Church with nothing, a void that is filled by sketchy millionaire televangelists for the masses and independent academic (and semi-academic, given the quality of some seminaries) Biblical scholars for the learned. Imams and sheikhs, just like in Sunni Islam, with a supreme Scripture literally sent from God, and a Son of God who frankly serves more as a prophet given the OT emphasis on God the Father, the Sovereign, the All-Knowing, the All-Powerful. And, given the lack of a Church, if you don’t like what one imam or sheikh says, just find another. Thank you for proving Fr Stephen’s point. This happens all the time within the greek text of the scriptures. The word “is” goes unwritten probably hundreds of times in the literal text but is implied by the construction/syntax/context. What doesn’t happen is that an intended relative pronoun goes unwritten. You can consult Dan Wallace’s “Greek Grammar Beyond the Basics: An Exegetical Syntax of the New Testament with Scripture, Subject, and Greek Word Indexes” if you don’t believe me. As for the rest of you comments, I’ll let Dr. Kruger address them more fully (if he would like), but they generally show a lack of a clear conception of both 1) how the earliest fathers did indeed hold in high regard the NT scriptures and their norm-ing power over Church doctrine, as well as 2) how the Protestant Reformation (and the main themes/doctrines that accompanied it) actually developed in terms of the intellectual sources it drew off of. Some great sources I can suggest for #2 are Alister McGrath’s “The Intellectual Origins of the European Reformation”, “Reformation Thought: An Introduction”, and his tour de force, “Iustitia Dei”. Just to be clear, I am an historical linguist. In neither Ancient Greek nor Modern Greek is copula suppression common (except in lyric poetry) – so I would be extraordinarily sceptical of any claim that this was common in Koiné. In many cases it may help to add it in the English translation, it may not be wrong, but it must not be understood that the Greek language casually dropped ‘to be’. As for the “unwritten” relative pronoun – translating with a relative pronoun is common when you have a participle. And before you say “theopneustos” is not a participle, listen, historically it is. In Greek philology it is usually considered simply a verbal adjective only because the Indo-European *-to- perfect passive participle suffix was not *productive* in Classical Greek, much less Koiné. Greek is not special in this regard, if you are translating from German or Russian, it is common that you encounter even strings of preposed adjectives, including passive participles, such that it would be stylistically incorrect to translate the clause without a relative pronoun. Thus, Fr Stephen’s translation is *not* wrong, but I offered a literal one all the same without it. —On the contrary, this is something I expressed no issue with whatsoever. However, I do not accept propositions that there was no debate over the NT canon. Oddly enough, you recommend that I read McGrath. McGrath’s position is in fact that the Early Greek Fathers misinterpreted key elements of the Bible and that, magically, Augustine, whose Greek was exceedingly poor, had the correct readings. And this is what some of Calvinism ultimately comes down to in my view – a misunderstanding of the Greek NT in view of the (quite natural) limitations of the Vulgate translation. So I find your point (1) to really be a pot calling the kettle black. The Calvinist tradition, and *especially McGrath*, has little respect for Church Fathers. I have to say that, along these lines, amateur linguists who write books on Koiné grammar (and this is not an attack on Dan Wallace as I do not know the book you cited) sometimes act as if they have put together a grammar of Koiné themselves based on what they believe the Bible to already mean with insufficient regard for the history of the language. For example, I have seen several of these where it is claimed all perfect middle forms are passive. Really? Based on what? The relatively (in)famous passage of Acts 13:48 (tetagmenoi) comes to mind. This is a common form in Classical Greek and virtually always is translated with a stative meaning! —This shows an extreme lack of understanding of voice in the Greek language. He seems to think a middle should be a reflexive which it *rarely ever is*, even if this is the level at which some basic Koiné grammars are written. In Classical Greek, tetagmenoi is especially used to signify soliders in rank – the basic meaning being more like ‘arrange’ or ‘order’ not so much ‘appoint’. The perfect middle de-emphasises (or eliminates) agency – so the meaning is something like ‘to be in order’, ‘to be arranged’, in this case the idea is indeed to be in the position of awaiting eternal life, but there is zero emphasis on an agent (if there were, the aorist passive would have been used), much less an implication of being elected from the beginning of time according to a mystical, foreordained plan. —The “traditional translation” should not be taken to be a rough reading of the language of the KJV which follows the Vulgate (“erant praeordinati”). The traditional understanding should be found in the Greek itself, and this may require you to offer some minimal respect to the tradition of interpretation handed down by the Greek-speaking church, which has preached the NT continually while the Greek language has evolved. In the meantime, you are insisting on reading the NT through the limitations of its translations. “This is pure mysticism ironically hailing from the theological tradition produced by Enlightenment rationalism. when, however, many of the early Fathers clearly held to scripture as a sort of norm-ing norm above all others. Did not the earliest Reformers clearly cite these sorts of fathers as validation and the source of their views? Why postulate that it came from some sort of “enlightenment rationalism” that hadn’t even taken place/developed yet by their day? Sure, maybe there was debate, but this does not mean that -whatever the authentic Apostolic writings truly were- that the earliest Fathers didn’t intend to treat them in the way Protestants do. 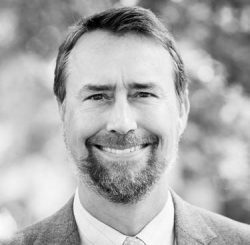 The crux of the issue is not so much if all of scripture was available or known (or even agreed upon) by everyone in the early church as it is that, if the early believers had what they considered to be authentically Apostolic, that they’d treat it in a way highly comparable or equivalent to how sola scriptura-ists currently do. Was scripture the main and norming means for connecting with the testimony of the Apostles and dictating belief and practice, or was it some sort of oral, liturgical deposit of tradition? Additionally, if you’ve read McGrath, you’d know that the thrust of my second point was that the Reformers actually drew off of more contemporary sources (that were seen at the time as legitimate Roman Catholics) than most Non-Protestants realize. The didn’t just go back to people like Augustine and nit pick their sources all willy-nilly. They sought historical justification for their views across the entire history of Christianity and didn’t have to just ignore the previous thousand years before them and isolate their case to just a couple people. Some of the better examples of this within later protestantism are the efforts and collations of Schaff and Gill. I’d highly suggest looking into Wallace’s work, as he is one of the foremost NT textual critics (and digital preservationists) within evangelical Protestantism. If nothing else, he’s an important name to keep tabs on. He’s done numerous and extensive inductive studies on koine literature concerning things as tedious as the use/non-use of the definite/indefinite article. I appreciate your addressing this issue. I noticed that Freeman has written a blog in response to your response, here: http://blogs.ancientfaith.com/glory2godforallthings/2014/10/10/church-scriptures/ I hope you have it in your schedule to possibly respond even further. 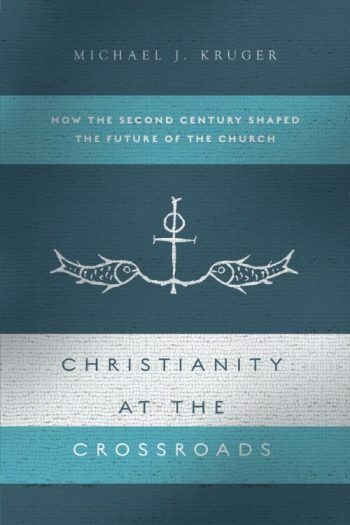 One thing (being Reformed, myself) that I think might be helpful to point out (especially in light of Freeman’s response I linked) is the unique nature of scripture as coming from a portion of “the Church” that is not only no longer replicable, but also of much higher authority than any other sorts of leaders the church has ever had: The Apostles. Surely, even if we hold to a sort of unity (in the Life of the Spirit) of the scriptures and the Church (as a body) as Freeman seems to want to claim, we still need to recognize that the sources we have collected as a cannon find their authority from the most authoritative members that have ever found a place in the Body of the Church. In this sense, bare minimum, the authentically Apostolic works hold veto power or norm-ing power over any other members and claims that might come later. This is nonsense from the Orthodox perspective as there are overlapping categories here. The Bible is written by the Church, for the Church, to be used in the context of the Church. Likewise the Old Testament was written by the Jews, for the Jews, to be used within the context of the Jewish religion. The whole dichotomy between “Bible” and “Church” is absent from Christianity until the Reformation (admittedly because of Roman Catholic abuses, which didn’t exist in the first millennium of Christianity). I have heard it said that Protestants believe in Jesus Christ because it is Biblical to do so. The Orthodox believe the Scriptures because it is Christian to do so. It is the Church that leads us to the Scriptures because she wrote them under the inspiration of her Head and preserved them with the help of the Holy Spirit. Fr. Freeman and Dr. Kruger address a critical question: Is the Bible (capitalized in respect for modern usage) over the church? Dr. Kruger says Yes because the Bible is the ‘highest’ authority. Fr. Freeman says “the Bible–as something that is an authority over the church–is a modern, post-Reformation invention. … The Scriptures are not ‘above’ the Church nor the Church ‘above’ the Scriptures. The Scriptures are ‘of’ the Church and do not stand apart from the Church.” In other words, the relationship is intimate but NOT one of authority or one over the other. I understand why Dr. Kruger is concerned about authority. Protestantism came into existence reacting to RCC claims and abuses of authority. Indeed, Orthodox Christians have some of the same complaints! But it is troubling that Dr. Kruger almost conflates the Bible with God: “submission to God’s word. There is no higher authority than God himself.” This is not how God comes to us; It is not the gospel. He did not appoint the Bible to stand in his place. Christ sent the Comforter to be with us. Let us recall that the mother RC church made itself a supreme authority, even in political matters, and early Protestants responded by replacing that (claimed) authority with the Bible. The RCC had it wrong and the Protestants went wrong in a similar manner, also fixating on authority. Both lost their way. Unfortunately the children are still damaged. God-as-Authority is an Islamic notion. God wants a love relationship with His children. We –His bride– receiving the unmerited gift of His energetic grace are raised up to share in the Glory of His nature. This is life. This is the gospel. This is the kingdom the scriptures teach. The church lives in this glory now before the face of the risen Lord who rules in our hearts with divine, Trinitarian love that cannot die. Correct me if I’m wrong, but wasn’t there profound Jewish dissent (in the time leading up to our Lord’s appearing) about more than a few “Old Testament” books like Proverbs, Ezekiel, Ezra, Song of Solomon (too name a few) and whether or not those books should be included in the Hebrew canon? It honors God to wrestle with which books and what manuscripts copies are inspired or not, or questions of whether the Bible vs The Body of Christ. Loads of evangelicals (of which I am one) are way too afraid of wrestling with God. I think for far too many evangelicals there is a fear that any type of questioning or wrestling with God, Scripture, etc…somehow takes away from God’s majesty. But it’s probably more a function of ensuring everyone thinks and believes the same thing. Funny how evangelicals are threatened by different opinions whereas Jews welcome it. And last I checked, Jews were God’s original chosen people! We evangelicals can sure learn a lot from the lives of the patriarchs. I had left a reply in my back-and-forth with Mr Elliott. If you don’t want to continue comments, that is fine, but then mark that the comments are closed. Don’t invite people to make waste their energy just to have their comment not posted. That’s a shame. I have no issue with a back-and-forth, and I don’t think it should be suppressed unless it is uses vulgar language or is overly uncharitable. Would have liked to have seen your critiques of Dr. Wallace, being as he is one of the foremost Koine experts. If you want, feel free to PM me on facebook if you have an account there.